My son loves the movie Ratatouille. I love the ratatouille dish from Disneyland, they sell it at the restaurant in New Orleans Square with the most amazing crispy bread. 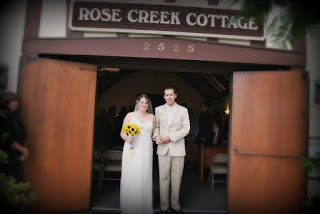 We don't have plans to visit Disneyland anytime soon, though we may go next year for our 5th wedding anniversary, it's where my husband proposed, and it's where we spent our honeymoon. 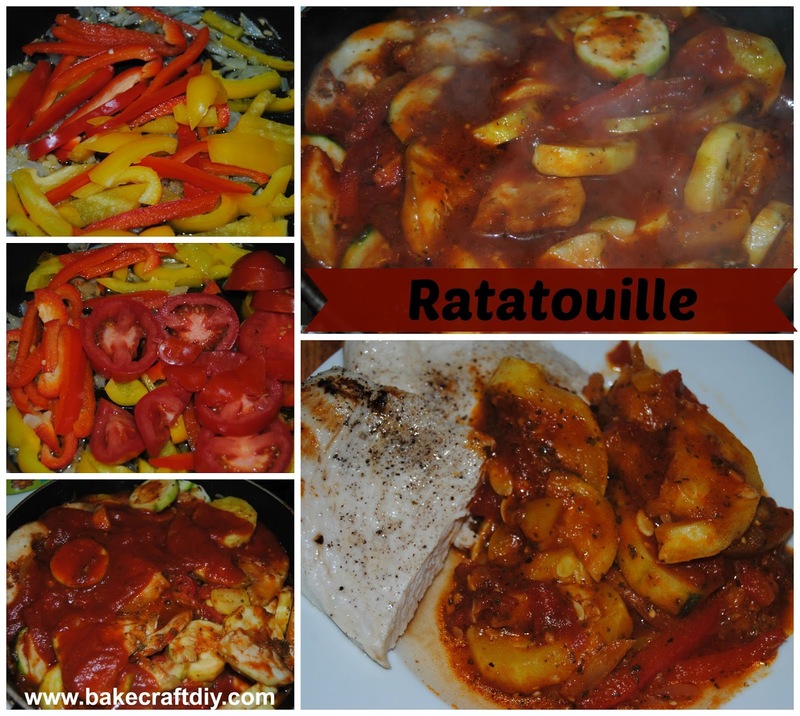 Because we can't go to Disneyland I brought a little bit of Disneyland to my home by making Ratatouille just in time for our 4th wedding anniversary. In a large skillet pan add the olive oil, diced onions and garlic, allow to cook until onion begins to brown (do not burn). Add the bell peppers and cover the pan and allow to cook until the bell peppers begin to soften. Add the eggplant, zucchini, and squash, pour the tomato sauce over the vegetables, cover and simmer until the eggplant, zucchini, and squash are soft. Serve over rice, with crispy bread, or as a side with chicken. 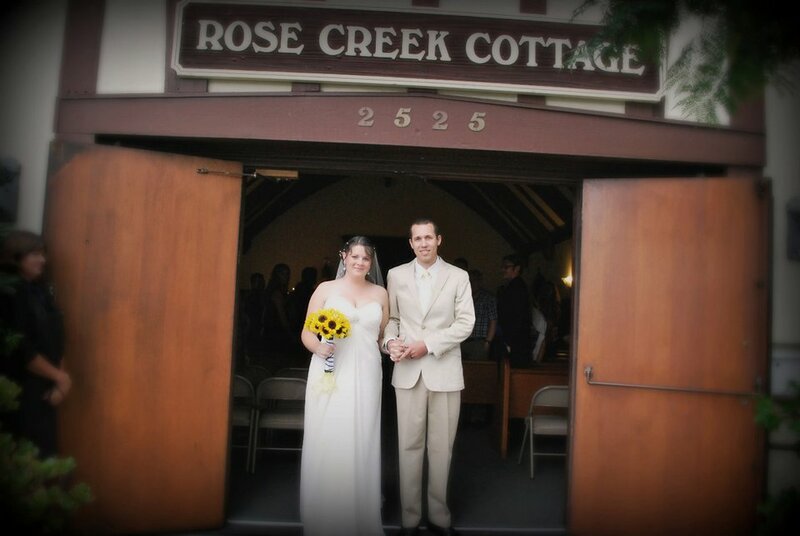 As it is 4 years ago today that I married my husband I thought I would share two photos from our wedding day. The first is my husband and I right after getting married, our exit song was the Toy Story classic, "You've Got a Friend in Me." The second photo was actually candid, we were getting ready to take photos but decided to bustle the dress, as it turns out, it takes to bridesmaids and a maid of honor to bustle my dress. There was literally nothing I could do to help them so I gave my new husband a quick kiss. Thank you for the recipe, it gave me a great idea for movie night. 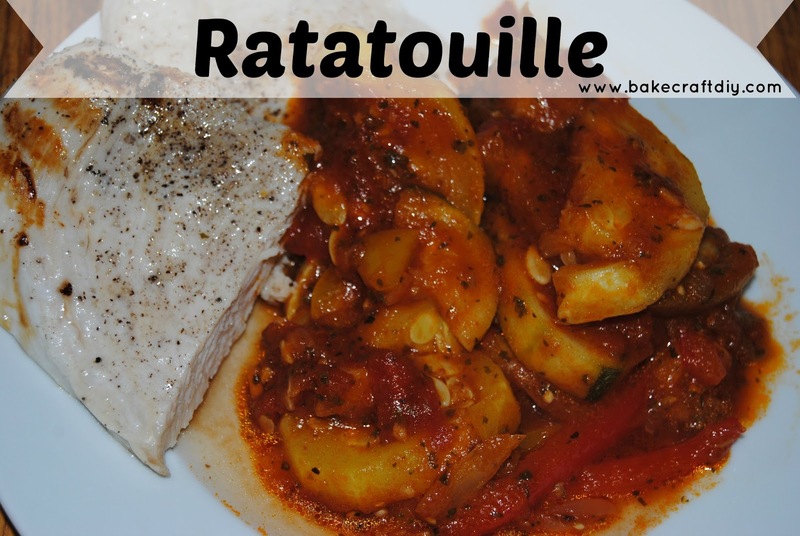 I just got back from Disneyland but didn't have the chance to try Ratatouille - thanks for the recipe! I've always wanted to try it. I'm definitely trying this! Happy anniversary! I absolutely love that you are making this for your anniversary! How sweet that he proposed at Disney! Thanks for linking up with us this week at Welcome Home Wednesdays! 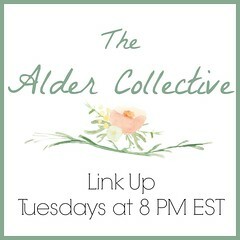 Can't wait to see you link up with us again tomorrow... the party goes live at 7am CST!